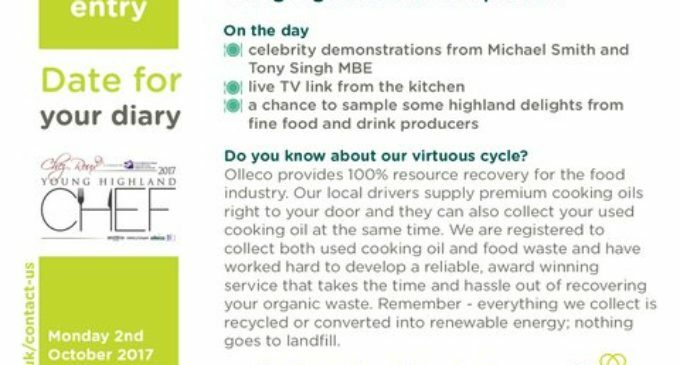 The Olleco Young Highland Chef competition has kicked off at Burghfield House in Dornoch. An annual competition inviting entrants from 18 – 30 years of age, the contest sees eight entrants selected to go head-to-head in a live cook-off. 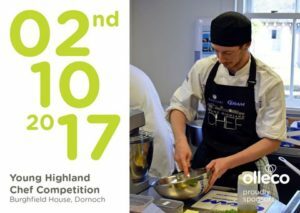 Organised by North Highland College UHI and Chez Roux Ltd and sponsored by Olleco, the final takes place at the college’s training restaurant. Competing for the top prize of £500, a work experience placement in Le Gavroche and a Robot Coupe machine worth £2,000, the finalists will all be awarded with a certificate at the champagne reception after the cook-off in the hotel’s celebration marquee. Led by Albert Roux OBE, the judging panel features several of Britain’s top culinary professionals including Glen Watson, Steven Doherty, Derek Johnstone and Simon Rogan. Meanwhile, students from the Hospitality and Professional Cookery course at the North Highland College UHI will assist the lecturing team at the event.